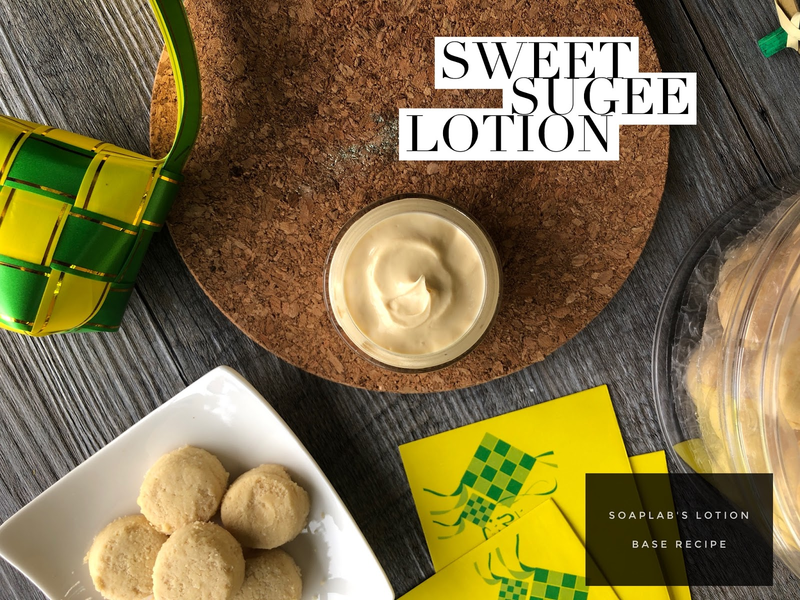 Today's recipe is a facial moisturizer from our Sweet Sugee series. It's created specially for mature skin. When it comes to mature skin, it's important to stay hydrated to prevent skin wrinkling easily. This is why it is very important to moisturize! In this cream, we are using Jojoba lotion base so that skin gets nourished deep inside without any clogged pores. Next we use Creme Brulee Fragrance oil for a luxurious scent people would think you spent hundreds $$ over. Next we use bergamot essential oil, that is actually used in Earl Grey tea. It has a citrusy scent that relieves stress and acts as an antioxidant. Next we remain use Juniper berry extract to pump up the antioxidant effect of this series. In a way, keeping to similar ingredients in your skincare routine allows the full benefit of them to act on your skin. Have fun making this, and stay tuned for the last two recipes!